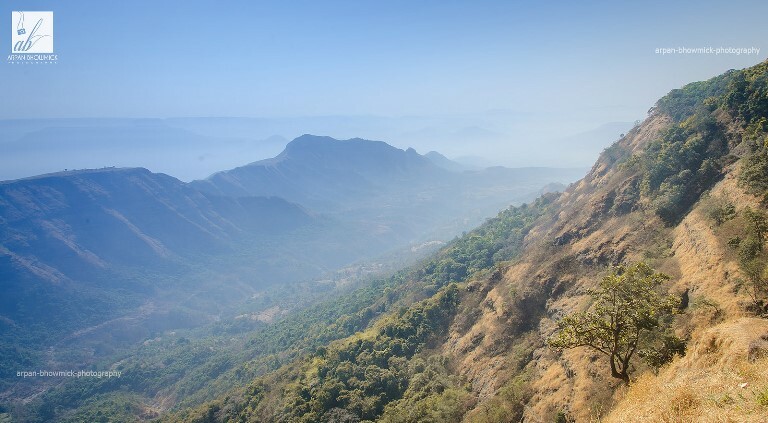 Delightful and intriguing walking around India's smallest hill station, 100km from Mumbai. The following is Arpa Mukhopadhyay's piece on walking here, which was on our shortlist for our 2011 Travel Writing Competition. Thank you, Arpa, for bringing this walk to our attention! 'Trot trot' went Black Berry, the beautiful black horse fit with an equally beautiful handcrafted saddle. His master, the unsmiling and stubborn Prabhakar bhau was treading his weary way by Black Berry's side. The man mounted atop was Rahul, my poor teammate who was now a constant victim of bhau's tirade (in fluent Marathi, which none of us really understood). It was Rahul's first attempt at horseback riding and going by his flushed face, it seemed unlikely that he would go the equestrian way again! We were 800 m above sea level and 100 km away from the city of Mumbai in Maharashtra. We were in 'Matheran', literally translated as 'Forest on the hilltop', and the event was our first office outing, and for me, the first encounter with the word 'trekking'. Only a couple of days back, I was in the office, reclining in my chair, eyes on monitor, and hands almost involuntarily typing out some C-sharp code. Yes, I live the exceedingly sedentary lifestyle of an Indian IT professional and even getting up for a cup of coffee is sometimes very taxing for me. The talk of an office outing popped up, and one of us suggested it's about time we indulged in some real, physical activity. A little research and then a poll brought 'Matheran' in picture, and here we were - on the beautiful Sahyadris, with colorful birds chirping all around and dense Jambol forests surrounding us. We had finally reached the 'smallest hill station in India' and I had heard it right, we were right in the arms of Mother Nature! It was a chilly winter morning even in a city like Mumbai (where the winds just refuse to blow). We started our bus journey at 5 am from Borivali. We had to cover a good amount of distance, some 80 km in the fog and it took us 3 hours to reach Neral. Of course we had halted mid-way for a quick vada pav breakfast in Panvel, which took up some time. Neral is where the journey to Matheran starts. Once there, you have two options: take a toy train (You need to buy tickets in advance. 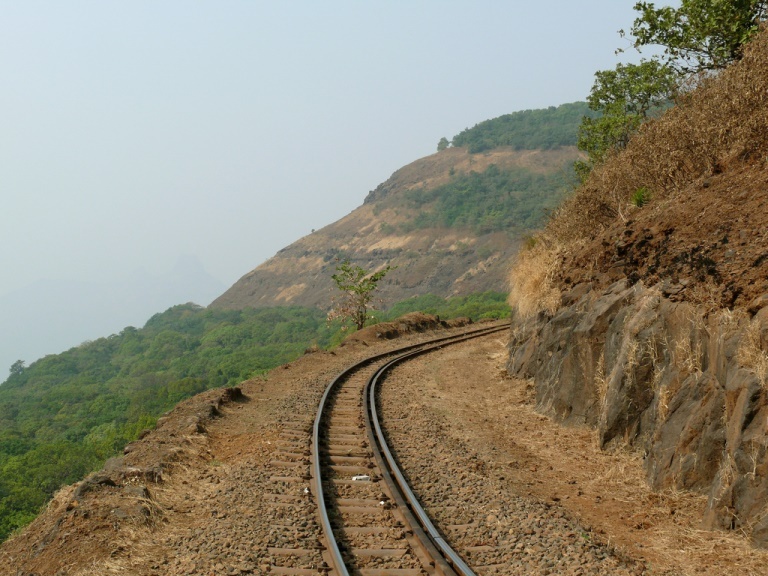 Only a couple of trains ply in the morning between Neral and Matheran and there are only 35 seats in the general compartment) or take a local automobile to Dasturi Naka, and then go walking. Ours was an impromptu trip and we never had the luxury of choosing option 1. But allow me tell you a little about the very famous, century-old, UNESCO heritage 2-feet narrow gauge railroad on which these little beauties run. India has only 4 primary narrow gauge railways, of which the one at Darjeeling is the oldest. Matheran, they say, is a close second. It was built in 1907 by Sir Adamjee Peerbhoy for easy accessibility. The toy train covers 21km through green slopes, dangerous mountain curves and thick forests, completing its journey in a little over 2 hours. We took local cabs to reach Dasturi Naka, which is about 3.5 km walking distance from the main city. Trekking, horseback riding and carts are the only means of conveyance that point onwards, and this time, all of us chose Option 1! 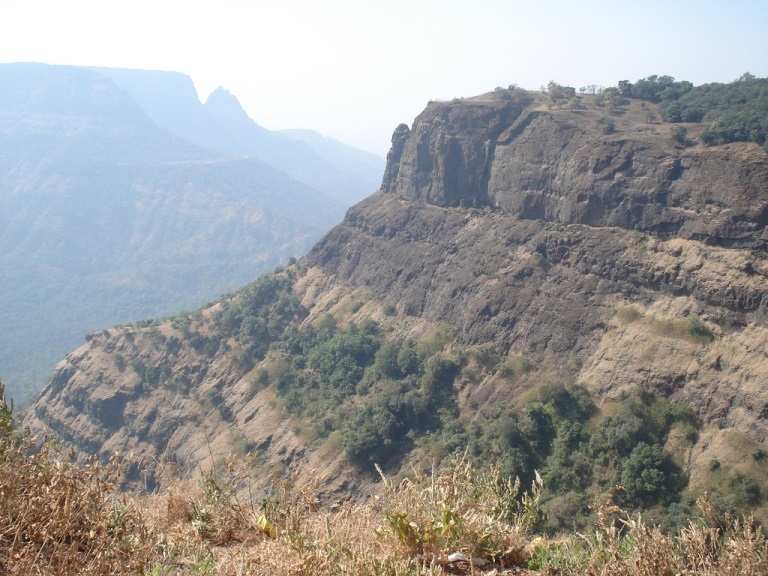 Trekking in Matheran would possibly remain one of my most beautiful experiences in life. Coming from the hustle-bustle, the population and the pollution of Mumbai, this beautiful, serene atmosphere was catching up with us. It was as though we had travelled back in time to the pre-independence era where all we had were our feet and the animals to carry us. 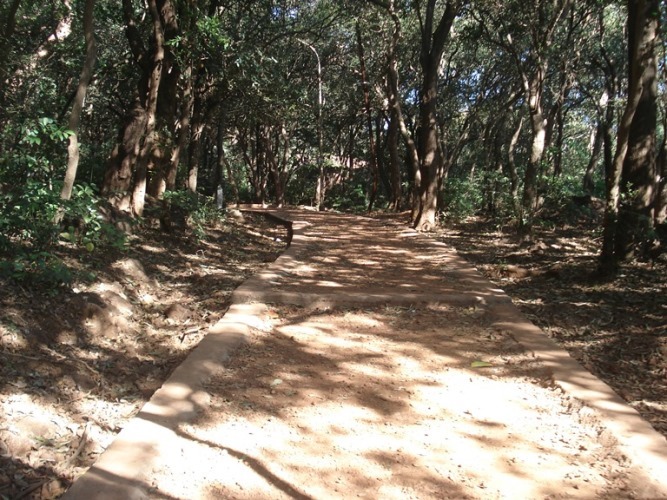 Roads in Matheran are neither metalled, nor concrete but are made of primitive red laterite soil. 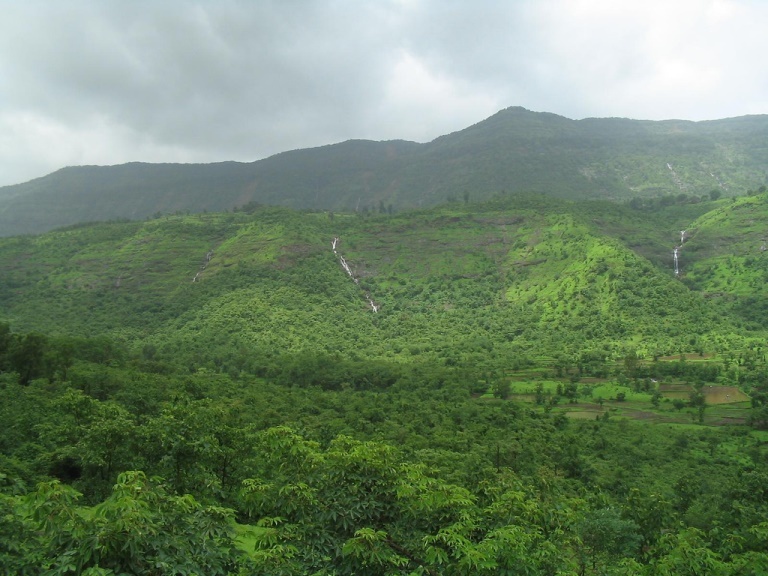 Matheran has been declared an 'eco-sensitive' region by the Union Environment Ministry and no automobiles are allowed. It is perhaps the only hill station in India where this kind of a blanket motor ban exists. Walking on railway tracks was something I had always wanted to do as a kid, and it was my lucky day! We trod along the narrow gauge for two reasons - one, the mud road had too many monkeys, and two, the railroad was supposed to cover the least distance. One hour and fifteen minutes later, we had reached the railway station; glad to see the toy train still toying with the idea of not reaching anytime soon! It took us another fifteen minutes to reach the main bazaar area. We had lunch at a local restaurant, and then went to the market. The Chikki and fudge that I tried in the Matheran market were the best I had had in life. The females of the group got busy buying cane and leather articles, like belts, bags and Kolhapuri chappals of course. The males, meanwhile discussed with the locals what our next course of action should be. 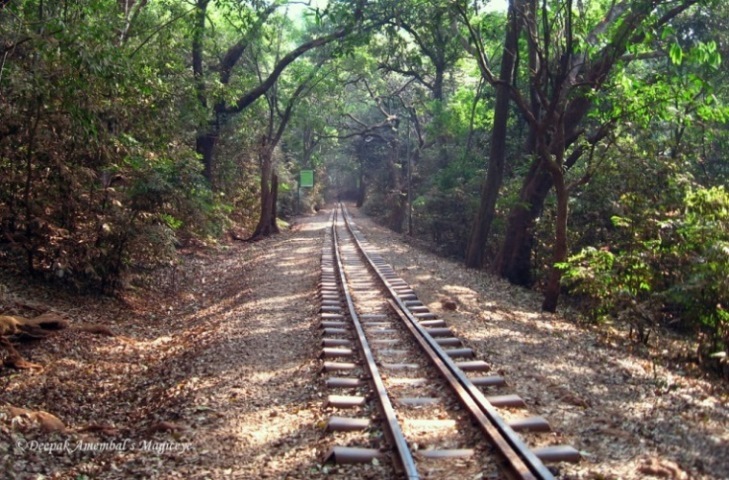 Matheran, which covers only 8 sq. 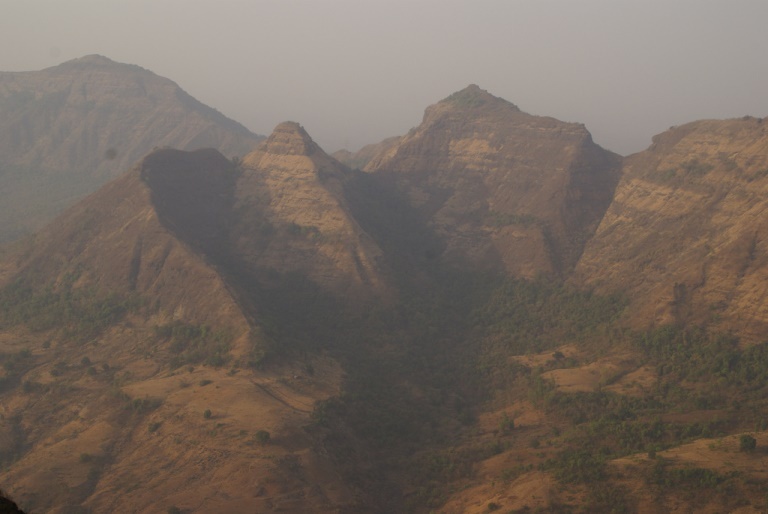 km in the Sahyadri ranges, and has a 6000 odd population, apparently has 33 lookout-points. 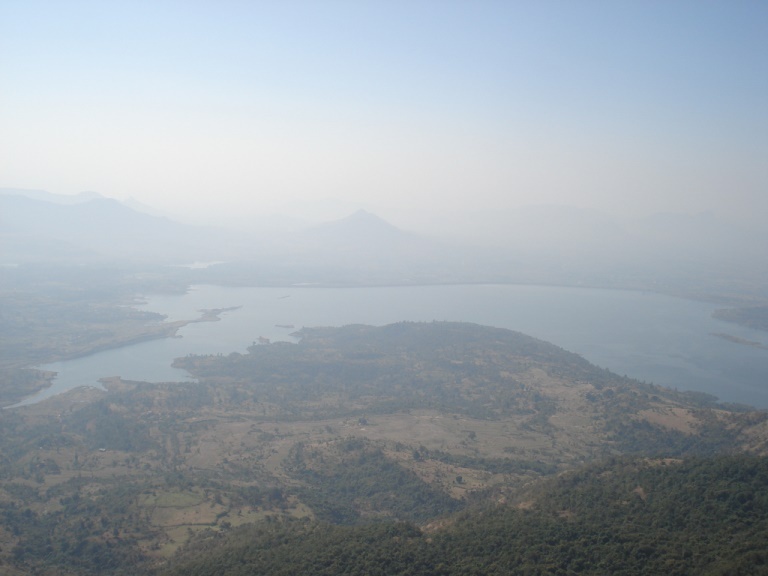 Lookout-points are points from where you get a panoramic view of the peaks of Western Ghats as well as the pastoral plains. We shortlisted the most important points and started out, most of us by foot and a few tired ones on horseback. It was at this juncture that Rahul spotted Black Berry and fell in love with the animal, not knowing what hostilities lay ahead. Prabhakar bhau never really understood Rahul's English and why he would just not kick the horse and Rahul would not understand why the mighty creature would start galloping without his wanting it to! We reached the first viewpoint, Lord's point, the view from which left us dumbfounded. We never felt so close to nature before. 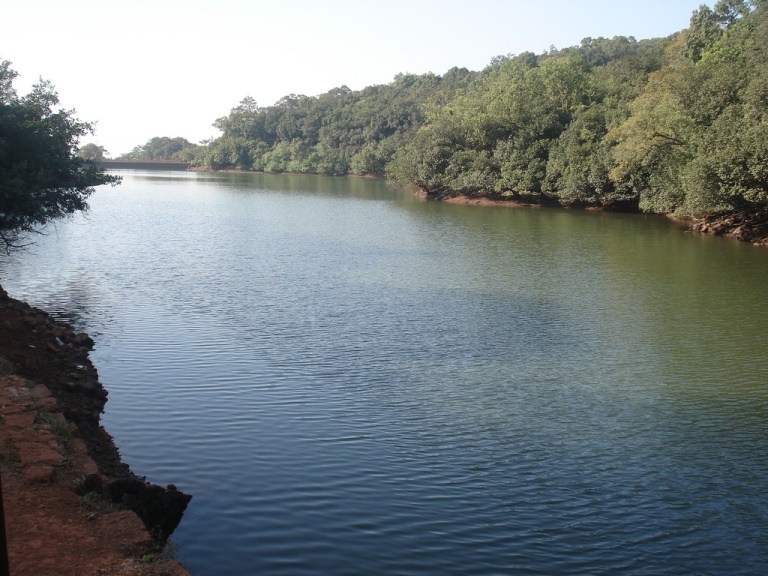 A few clicks later we were at the scenic Charlotte Lake, the most popular picnic spot in Matheran and prime source of drinking water in the region. We were busy admiring its beauty and a zealous monkey snatched my coke bottle. Clearly it was bored of drinking water from the lake and needed a change of taste! The Echo Point and the Lousia Point were situated nearby and we visited these points one after the other. We tried yelling our names out at the Echo point, but in vain. Either we were really tired, or they needed to change the name. All 'points' make for mesmerizing vistas of the Sahyadris and the beautiful green valley. It was however our valley crossing on the ropeway from Echo point to Lousia point that stole the show! I was very apprehensive about crossing the valley but after enormous goading from my teammates, I ventured into something I had never thought I could! I had never experienced that thrill before, and I was beginning to understand what living life to the fullest meant! It was dark already, and we trudged our way back to Dasturi naka. Now the same course of travel would follow. Rahul finally managed to befriend Prabhakar bhau, and we clicked them smiling. I managed to overcome my biggest fear, and we had all trekked an incredible distance, and were not even tired! I glanced back longingly at the forest and then took a step in the other direction, the direction of the concrete jungle!